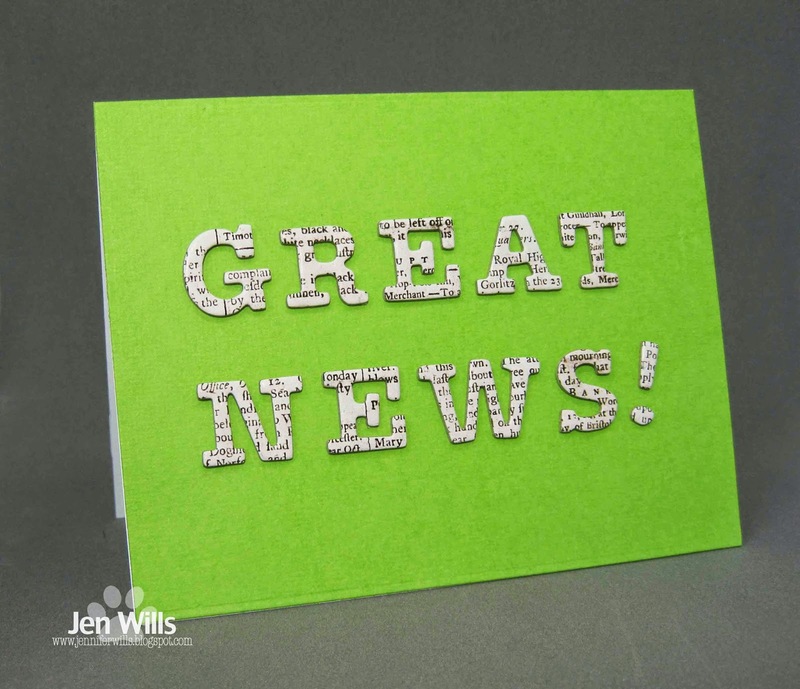 Before you read any further be sure to pop over to the CASology blog for some super news about one of our fabulous design team members. Go on… I'll wait! Better, but the sentiment wasn't popping enough and it just didn't seem quite right. I left it overnight and was pondering it today when suddenly the lightbulb went off - the red Bam Bubble on the yellow background is very comic book-esque and comic book heroes aren't great they're super! 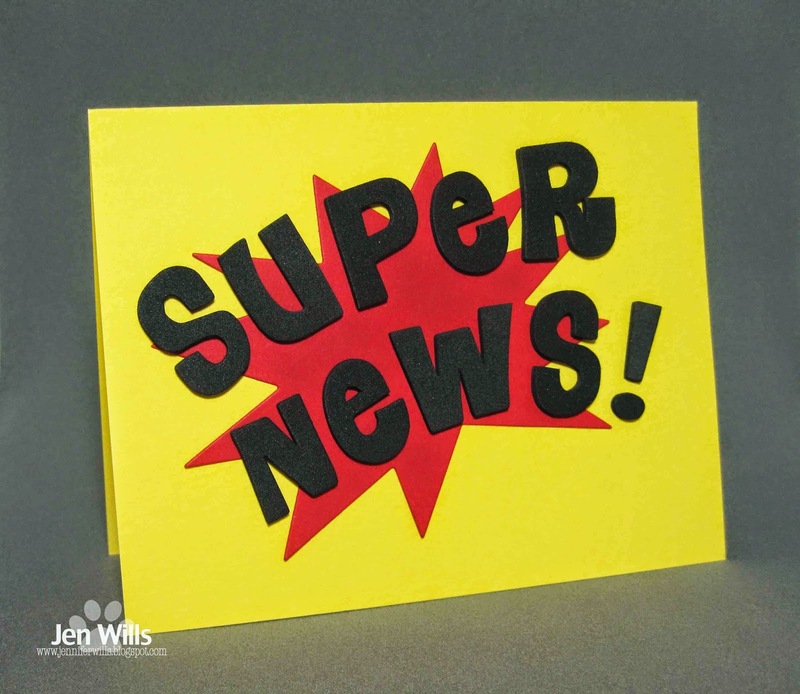 "Super news!" would be a more fitting sentiment for the design and because I had the news in the sentiment I really didn't need the newsprint letter stickers. I dug around in my sticker stash and came across these puffy foam letters which really had a comic book feel to them and Wham - the design was complete! Third time's the charm! Sometimes when an idea isn't working it's worth walking away for a while and letting it sit. You never know when inspiration will strike. And now it's time for you guys to inspire us once again with your brilliant creations. 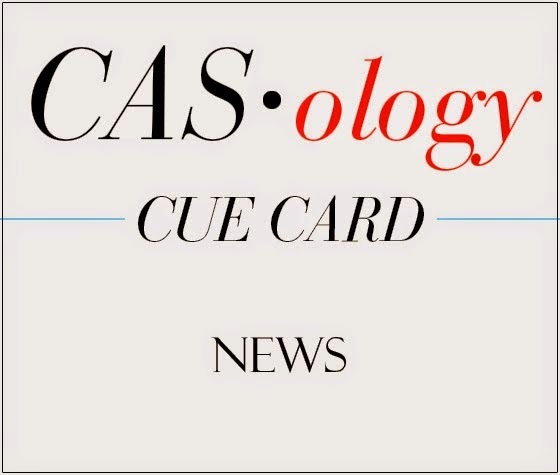 Check out the gorgeous designs from the CASology team and then get to work! 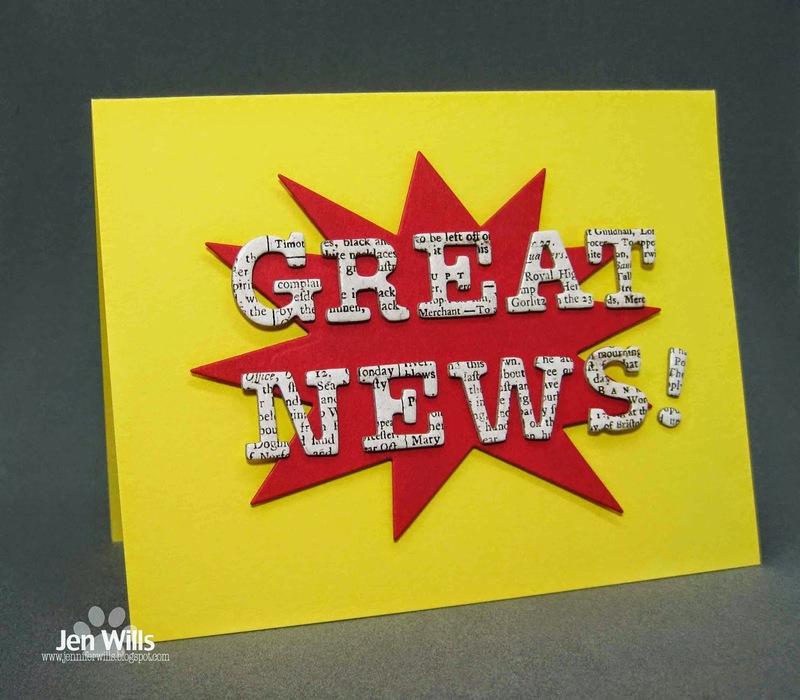 Jen, I just love how your creative process works, and your final card certainly packs a KAPOW punch! Absolutely love it!! The other cards are super too, but the third is definitely extra super!! Shazam!! This is one amazing and high impact card. Love seeing how your mind works its magic. This is definitely the best of the bunch, although if I had only seen either of the first two, I would have thought they were great as well. Hope you saved them. Thanks for sharing the evolution of your card! It's "Super!" I know many a super hero fan around here that would love it! I often have 'version' ideas for my cards, but I rarely make them - I love seeing your thought process on this! A progression of fabulousness Jen!! WOW!!! Is this ever awesome!!! Loved reading about your thought process... and also seeing it in action, my fave is the super hero version it's so much FUN! BAM! Now THAT is a brilliant post! Honestly, it is very reassuring to me to know that others go through several stages of cards sometimes, too, until they get it just the way they want it. Way to stick with it -- now you have three cool cards! I agree sometimes letting it sit and coming back to look is just the ticket. Love the way your cards ended up. Three wonderful cards Jen!